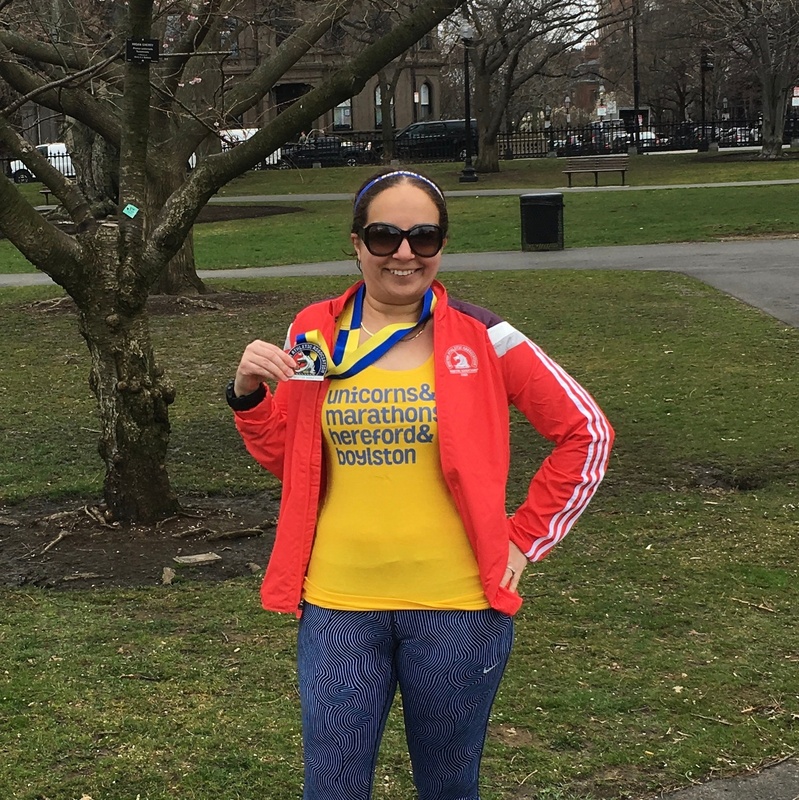 Run The Year participant Rachel MacDonald gives us a little insight into her running of the 2018 Boston Marathon. 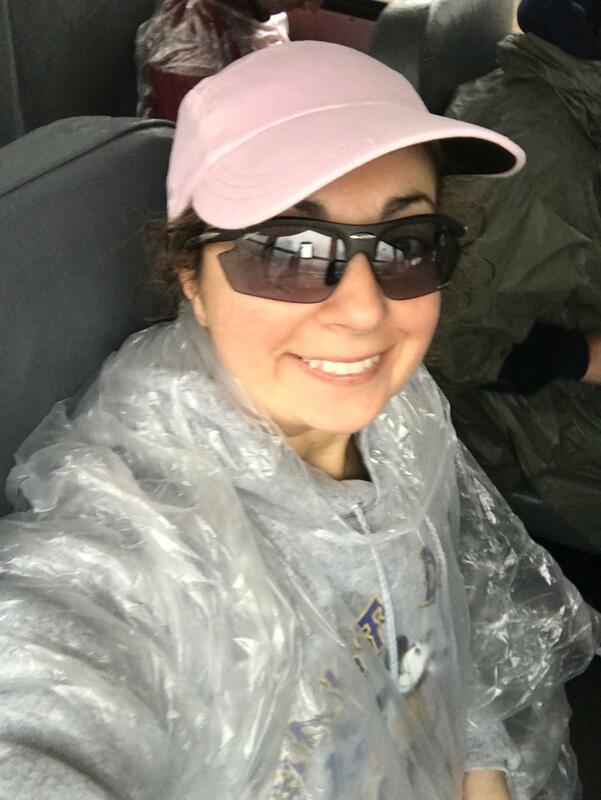 Read on to hear how 26.2 miles + cold + torrential rain turned into a day that won’t soon be forgotten! Weathermen can actually be right. Starting as early as a week before the race, the weather reports starting calling for cold rain. A few days later, the reports of strong headwinds starting coming into the mix too. Surely the weather will change I kept thinking. This IS New England. Nope, the weather did not change – at least for the better. It was every bit as cold, wet, windy and miserable as it was predicted to be. Next time I see awful weather for a race I will still hope for the best, but absolutely make sure I prepare for the worst. Not every marathon is about a PR. As someone who only runs 2 marathons a year, it can be difficult to digest this one. I can be fiercely hard on myself. 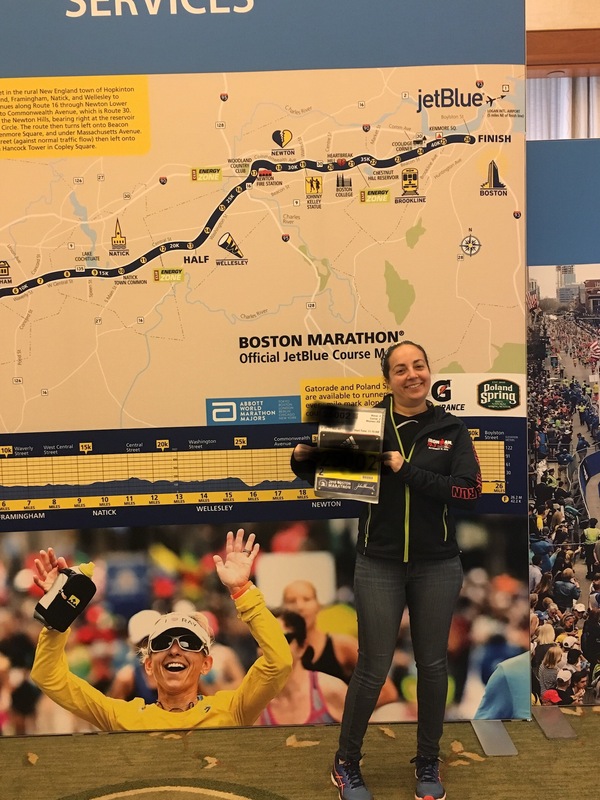 I always want to do my best – especially in such a challenging distance that you can’t just “make up” a few weeks later, and even more so in a marathon like Boston where I feel like I am on the world’s stage. However, the conditions I faced on Marathon Monday were just beyond difficult. I’ve run in cold, I’ve run in rain, and I’ve even run in strong headwinds – but never the three combined. I knew very early on that a PR wasn’t going to happen and the day was going to be about just making it to the finish line. For the first time in my racing career I was able to embrace this reality. Instead of beating myself up about a finish time I am not thrilled about, I am absolutely proud that I gutted it out on such a difficult day. Do what works for your body. 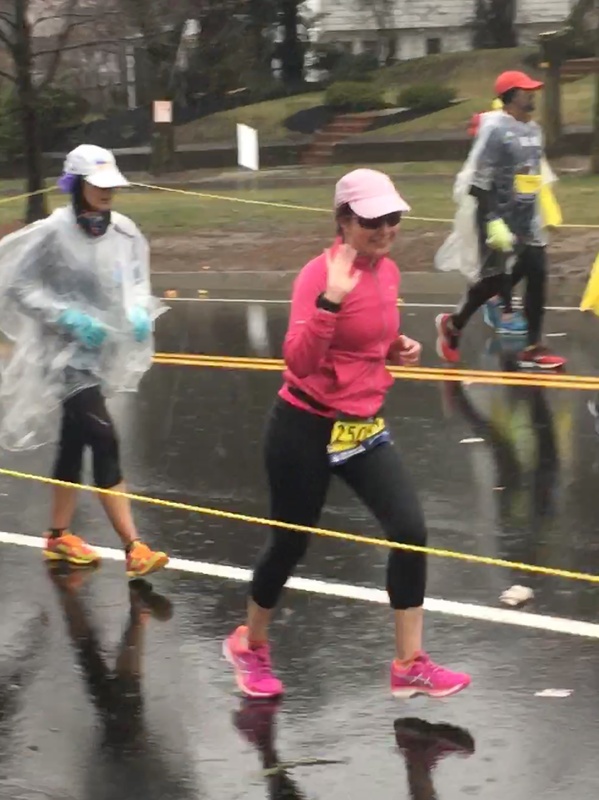 As race day drew closer and the weather reports were looking more real, I think every Boston runner was in a frenzy over what to wear! I heard so many runners urge others to not overdress for the rain, and that they were planning on wearing shorts, singlet and arm sleeves. Well I saw how cold the temps were, and I decided to pack ¾ length tights and a running jacket. I figured I could always tie my jacket around my waist, but it turned out I never even thought to remove the top layer. I was so cold! I’m glad I went with my gut and not what I thought “everybody else” was doing. Strangers can be amazing. Honestly, if it wasn’t for the electric crowds and absolute incredible volunteers, I don’t know if I would have made it. Complete random strangers were standing out for hours in horrific conditions, doing anything they could to make sure I (and the rest of the runners) made it to the finish line. What they were doing was harder than running in my opinion! The love and kindness that lined the entire course would warm even the coldest of hearts. I am stronger than I think I am. There were so many times where I did not think I was going to make it. I was so cold, wet, and miserable. My legs were in so much pain and I was running slower than I even thought was possible. If I tried to take a walk break to give my legs a rest, I just got colder and stiffer. Upon reflection, I was probably experiencing some hypothermic symptoms like so many other runners on the course. But I kept pushing forward, one step at a time, breaking it up one mile at a time. Slowly but surely, I was able to cross that famed finish line!